The cool wet weather might have dampened some of the bank holiday jubilations, but my it’s good for the allotment! After two years of dry, hot springs when all but the hardiest seedlings shrivelled in the parched soil, this year’s heavy rain is a welcome relief. Spinach, chard, salad leaves and peas have all shot up. 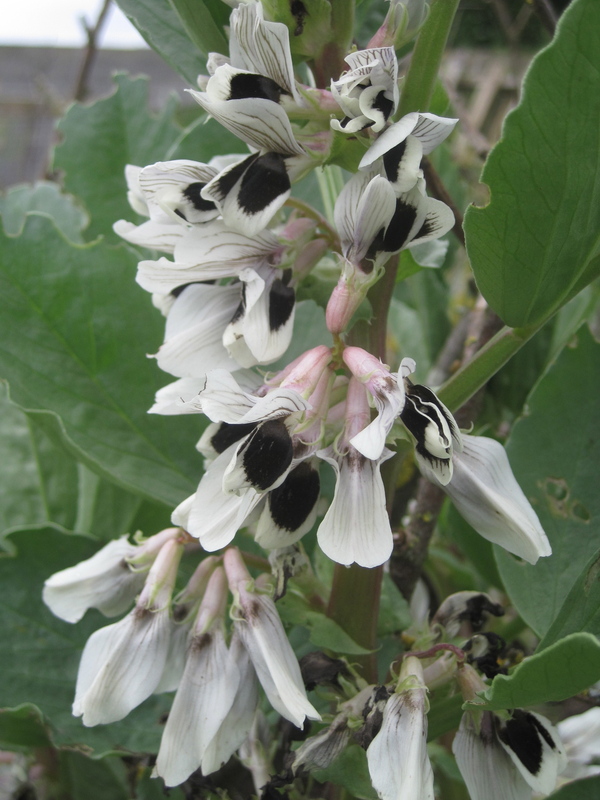 So too the broad beans which are awash with flowers with not a blackfly in sight. 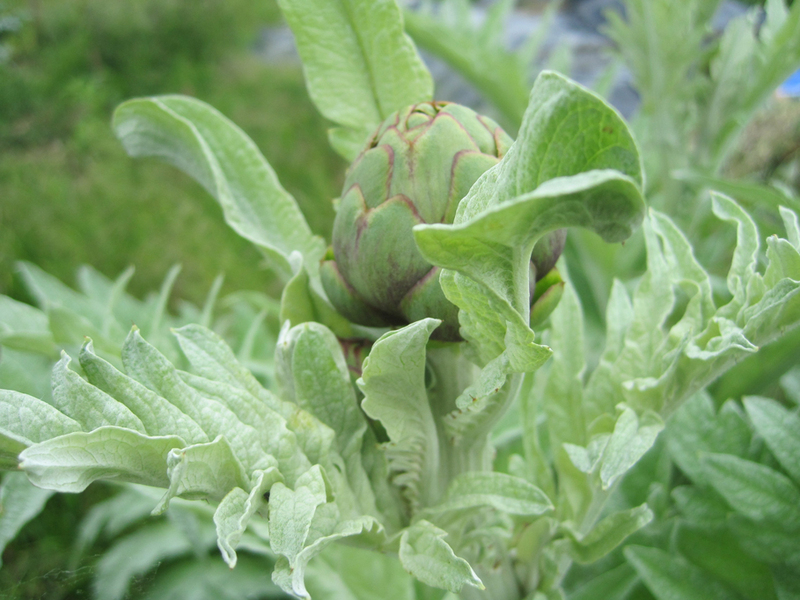 Majestic along the side border are the dozen or so artichokes, doubled in size since they were planted last year and already well into bud. So the prospect of an abundant harvest for both eating fresh and bottling. Ah, the delights of the perennial vegetable! They re-sprout each year, with the minimum of effort. For an amateur allotmenteer (or anyone who has a life outside of the vegetable patch!) their great advantage cannot be understated. 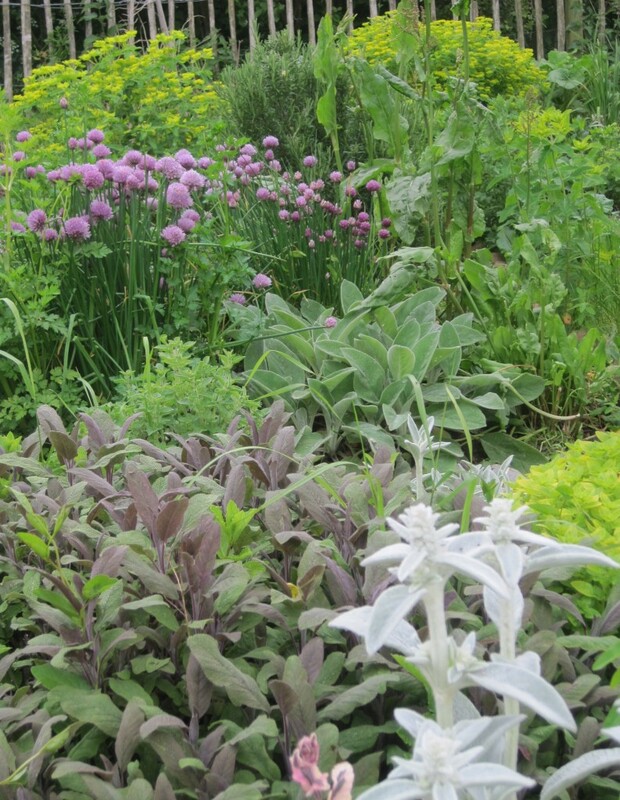 The herb garden too is a resplendent mix of green and mauve, from the smoky grey of purple sage, to the golden green of marjoram, the whole bed, peppered with violet chive flowers and seeding parsley. The first, made possible by the arrival in our life of the wonderful Ian and his seemingly inexhaustable supply of horse manure. Good for the organic grower at any time, but an essential part of the no dig, weed free policy. Basically you heap a load of manure over the vegetable beds every few weeks when the weeds start to take hold. The idea was passed on to me by one of my yoga students, Trish, who from her five allotments in Wells, grows an impressive selection of organic fruit and veg with which she supplies some of the top restaurants in the area. 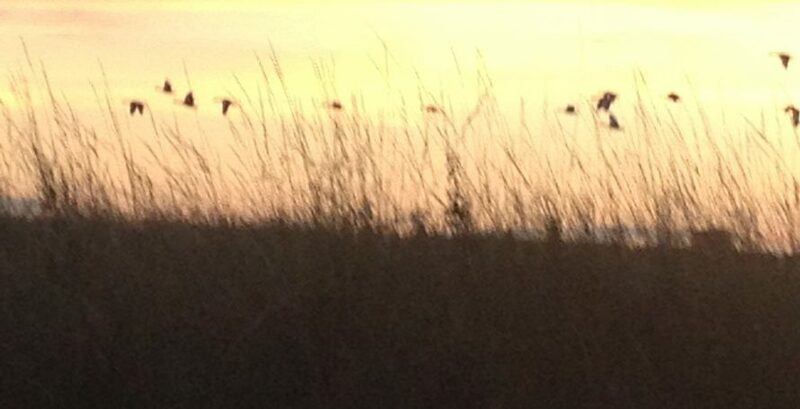 Second part of the campaign, which involves even less effort, is to make friends with some of the weeds. I found this particularly successful in the flower garden last year. 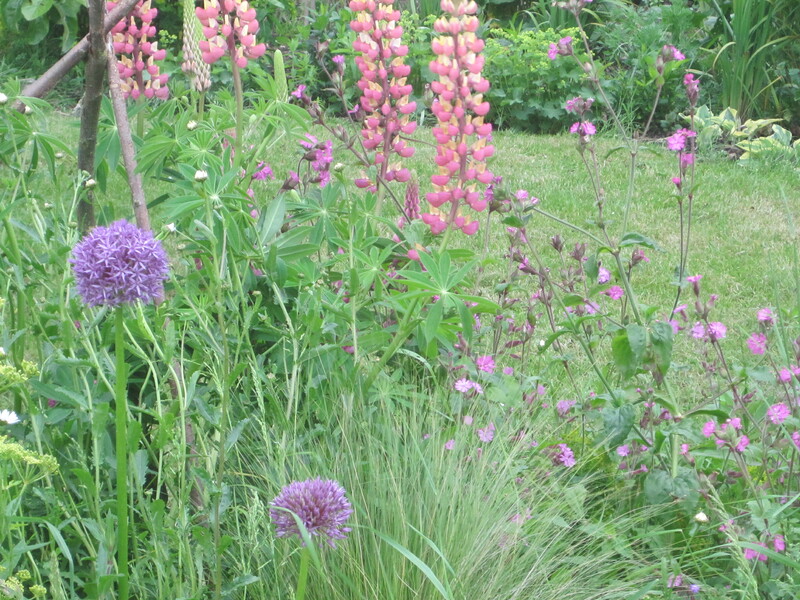 Having allowed some of the wild flowers and grasses to take hold, the effect of them interspersed with the cultivated varieties was incredibly pleasing. So this year on the allotment a similar tack in the perennial beds where I have allowed ground cover wild flowers to flourish alongside self sown companion plants like marigold and nasturtiums – both of which incidentally add a splash of colour to the summer salad bowl.